Spring Break is here–and so are our Spring Break Camps! Spring Break Camp kicked off Friday, March 30. If you missed Friday, no problem! Plus scheduling is flexible–with morning, afternoon and full day and weekly options. 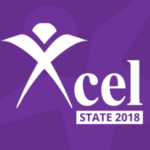 Pacific West Xcel Silver, Gold and Platinum Teams competed in their State Championships March 9-11. Pacific West Xcel Bronze team competed in their State Championships last weekend March 24-25. Check out awesome performances in the Shooting for The Stars video. Plus access trophy portraits organized by session. Congrats to our Super Stars! 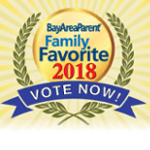 It’s that time of year again when you get to nominate your family favorites for the Bay Area Parent Best of the Best! 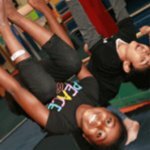 It would be a huge honor to receive your vote for our gymnastics, dance and martial arts classes, camps or birthday parties. If you don’t see our name, just write us in. We appreciate your support and thank you for taking a few moments out of your day to vote for us! We often announce competition results, special events and news on our website and social media. Links are below. 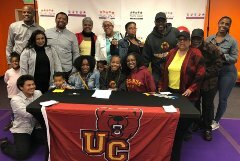 Pictured – Emma Gable and family gather for a portrait at her Ursinus College signing party, March 7, Facebook.